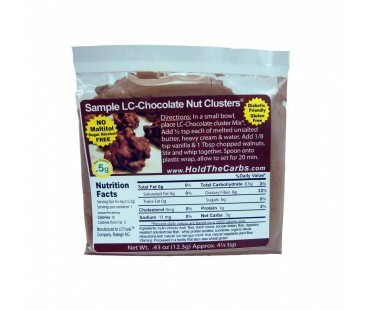 Low carb no bake chocolate nut clusters in a sample size, with less than 1 net carbs per cluster! Yummy low carb snack to enjoy at home or as a low carb on the go snack! Makes 1-2 low carb clusters. No baking and tastes delicious! Mouthwatering low carb chocolate nut clusters come in a mix that is super easy to make. The result? 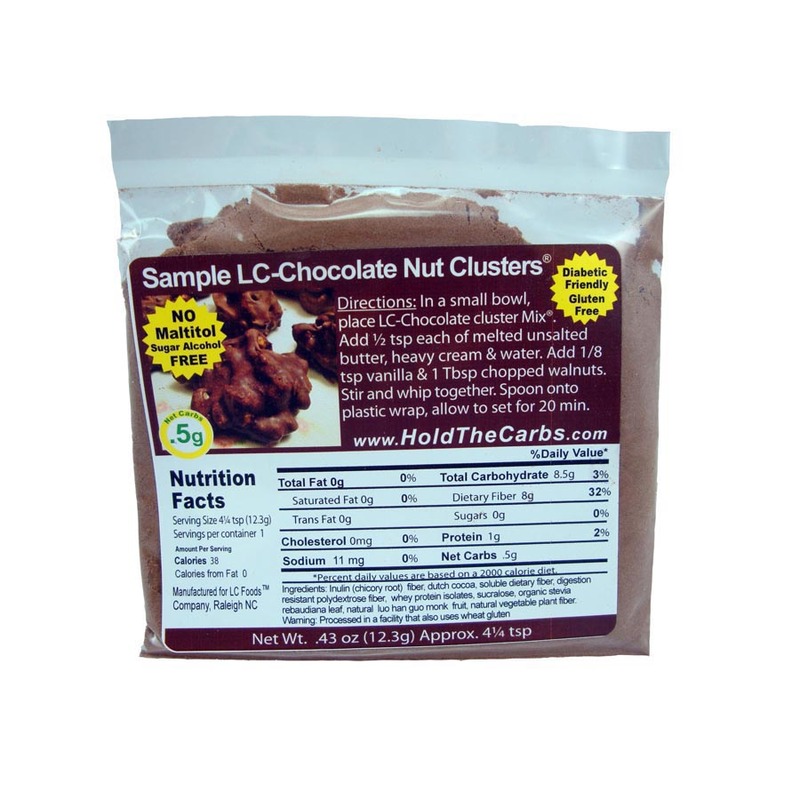 The most delicious chocolate nut clusters you've had since you started the low carb lifestyle! Use almonds, walnuts or pecans. Keep them handy at home for a great sweet tooth satisfying low carb snack, or as a delicious on the go low carb snack! These low carb clusters have a healthy dose of dietary fiber. As with all LC Foods low carb products, there's no sugar added (of course!) and no preservatives! Made this according to directions except I used pecans instead of walnuts. It was great, like homemade fudge! A good way to add in some fiber and satisfy a chocolate craving at the same time. This made a perfect little sample to try! we really enjoyed them and wanted more! I used walnuts and it was amazing!